You may have heard the parental admonishment “my house, my rules” at one time in our life, and when you’re renting, there’s no doubt this phrase can still apply in some sense. Thankfully, as adults, it is a much more understandable concept to swallow than it may have been at 15-years-old. A good tenant remembers that while the home or apartment they are leasing is their living space, in the end, your landlord is entrusting you with their property. It is imperative to be mindful of that fact. 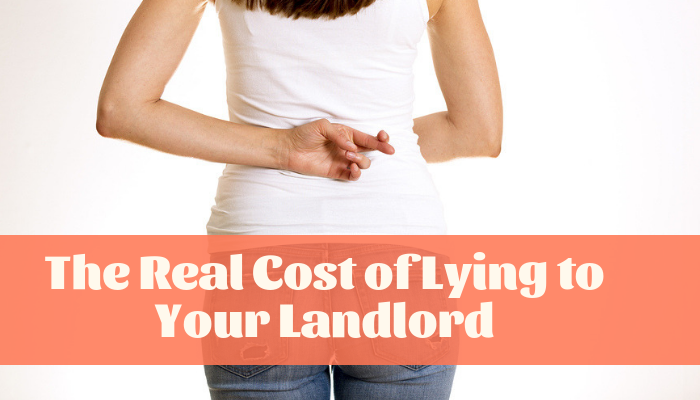 Whether it’s a seemingly small fib or a knowingly bald-faced lie, lying to your landlord can have significant consequences. 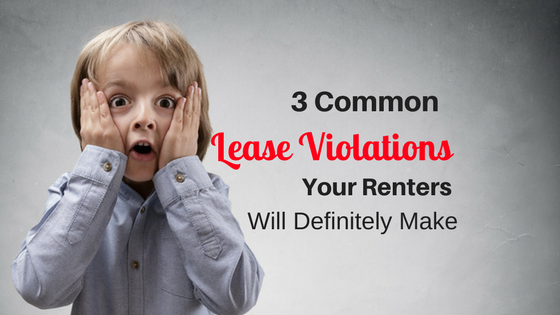 Failing to follow every last detail on the lease agreement may seem innocuous, but it could have lasting damage—to your relationship with your landlord and to your pocketbook. Telling your landlord that “the check is in the mail” may roll off the tongue, and a ‘white lie’ might seem prudent, at the time, but as they say “honesty is the best policy.” If you caught a gruesome flu that kept you home sick, and you know that your paycheck will be short, it might be tempting to wait it out—and hope your landlord doesn’t notice that your rent is overdue—or simply tell them that the check is on its way. The Cost: Rental fees can add up, and can eventually land you in hot water. If you are consistently failing to pay on time, it can even result in eviction. Not to mention, even a first-time-fib can undermine your landlord’s trust, and ensure tension down the road. Rather than waiting for your landlord to call, and falsely replying that the check is in the mail, be proactive and contact your landlord as soon as possible. If he or she has advance notice, you might have given them the ability to arrange their finances accordingly. 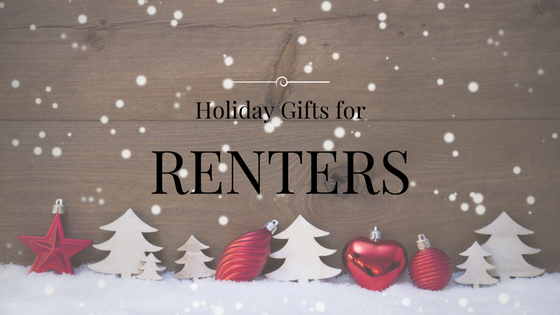 They may be willing to grant you some grace by waiving the late fee, or allowing you to pay this month’s rent in increments. 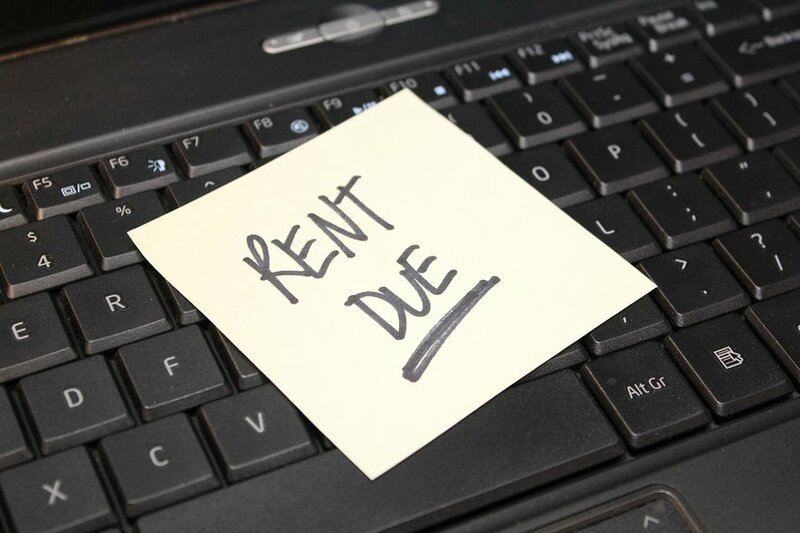 Find out more about what to do if you can’t pay rent on time. A good rapport and a past history of on-time payments will greatly work in your favor if you ever run across an instance like this. Hiding a pet may seem simple in the moment, but it could cost you more than just an unpleasant conversation with your landlord. If your co-worker has puppies for sale, think before you stock up on puppy chow. The Cost: Animals can cost untold damages to property – untrained dogs can chew carpet, animal accidents can be nearly impossible to fully remove, and pets can bring in fleas and other pests requiring extermination. If you chose to hide a pet, you can be liable not only financially, (requiring that you pay fees and/or forfeit your deposit) but you can even be evicted for breaking the lease. If you already have a pet you can’t live without, look for a pet-friendly rental from the start. If you recently found that you would like a pet, speak to your landlord before taking any action. If you have proved to be a responsible occupant throughout your tenancy, your landlord might find it as simple as adding a pet deposit to your current lease. If not, stick to the truth and live by your rental agreement. 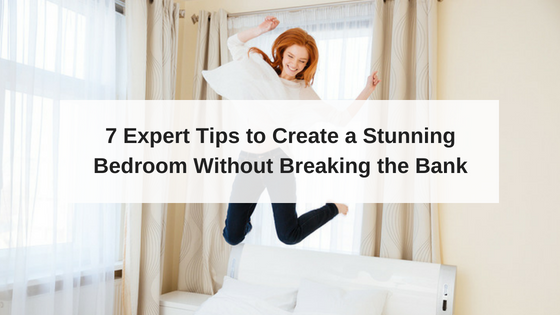 Hiding roommates or unapproved subletting can also put you in just as great a risk. While it may just seem like a formality, landlords have a specific vetting process for before agreeing to tenant residency, and allowing a friend or significant other to bypass that without your landlord’s knowledge can set you up for trouble. The Cost: If your friend goes from a part-time invitee to a full-time roommate without your landlord’s knowledge or consent, you risk breaking the rental agreement, and forfeiting your security deposit. If your name is on the lease, and your roommate causes damages, you could even be setting yourself up for a potential lawsuit. If you and your best friend or significant other decide you are ready to room together, make sure you have formal consent from your landlord before allowing them to stay long-term. It might seem easier to tell a lie at the moment, but clearly, it is best to remain honest throughout your tenancy. A good tenant-landlord relationship goes a long way, and having a great referral ready for your next rental is indispensable. Lying just isn’t worth the short-term stress, or the long-term cost.